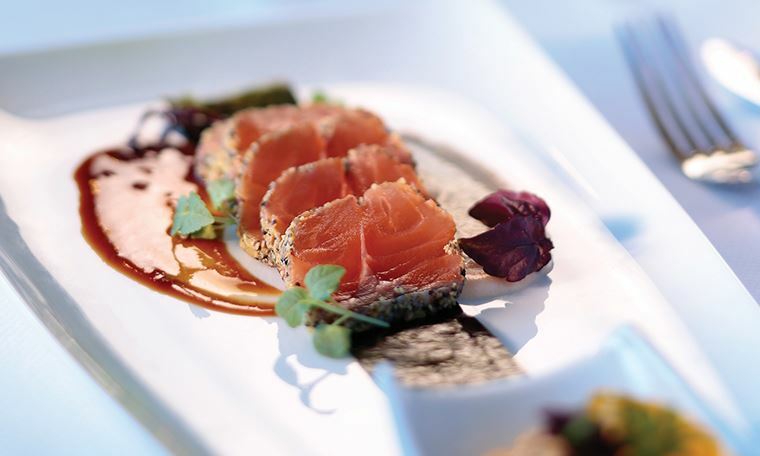 AmaWaterways wine cruises add a unique epicurean dimension to a variety of itineraries at no additional cost. 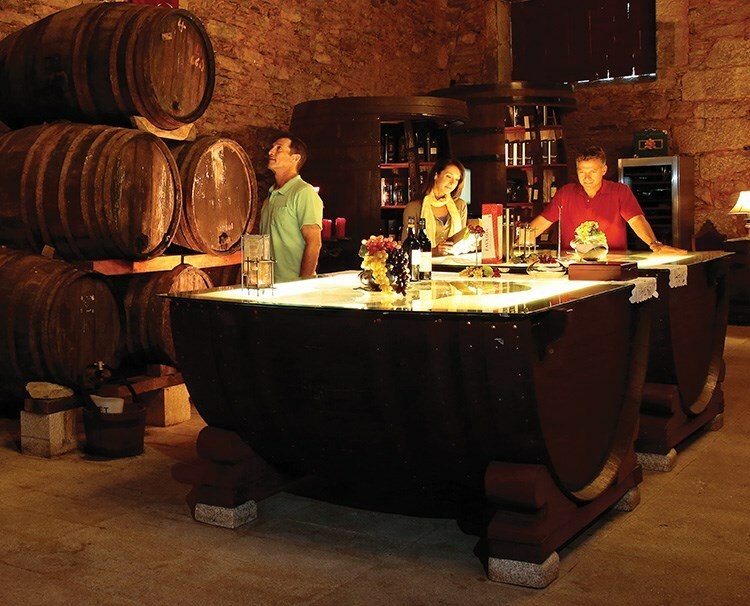 Join one of these wine cruises with a special wine host and be treated to a menu of exclusive wine and culinary experiences designed to delve deeper into the wonderful flavors and tastes of Europe. From Nuremburg’s iconic Christmas Markets with its iconic red and white striped booths to Strasbourg’s charming white storks, a visit to Europe’s Christmas Markets is a magical experience. Massive Christmas trees strung with thousands of lights are set against the backdrop of most stunning architecture, where travelers and locals alike gather to make merry. 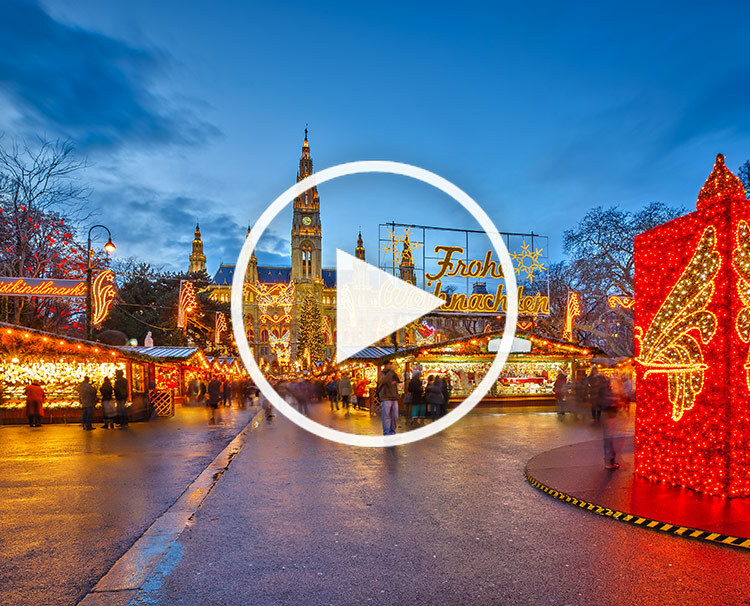 Learn about age-old traditions as you wander through the Christmas Markets enjoying whimsical artisanal gifts and the intoxicating aroma of roasted chestnuts, hot cocoa and sugar plums. 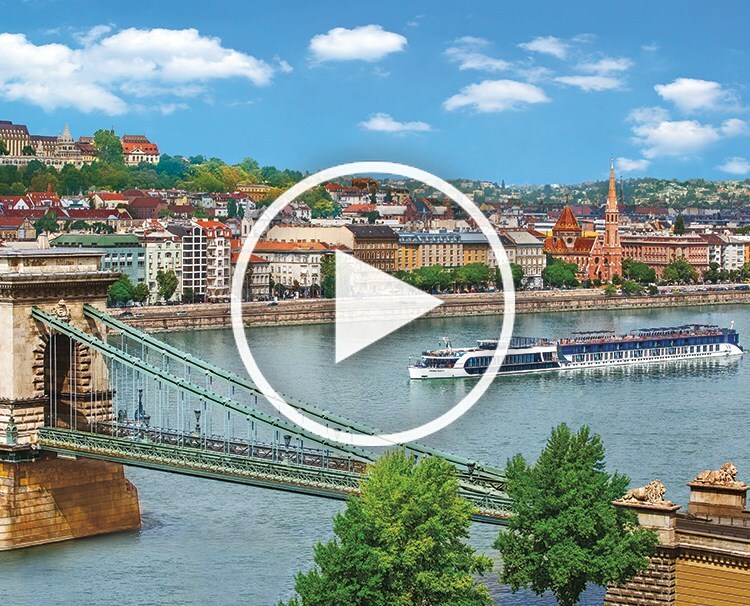 AmaWaterways is the proud Leading Sponsor of several PBS’ series including “Plates & Places with Joanne Weir” and “Places to Love with Samantha Brown.” Join them on a special AmaWaterways river cruise in 2019 on the AmaMagna. Imagine if there was a way to combine luxury river cruising on the iconic Danube with the opportunity to indulge your passion and play golf. 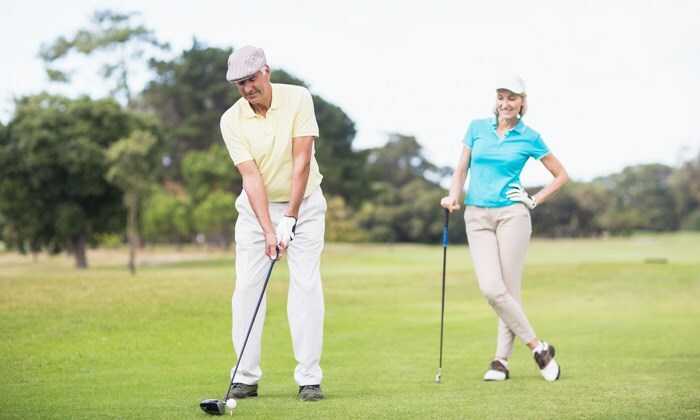 We have created the perfect package to enable you to do just that with our Exclusive Concierge Golf Program. Discover Europe, complete with award winning cuisine, incredible service and a choice of excursions in every port, as well as up to 5 rounds of golf at some of the leading championship courses on the continent. 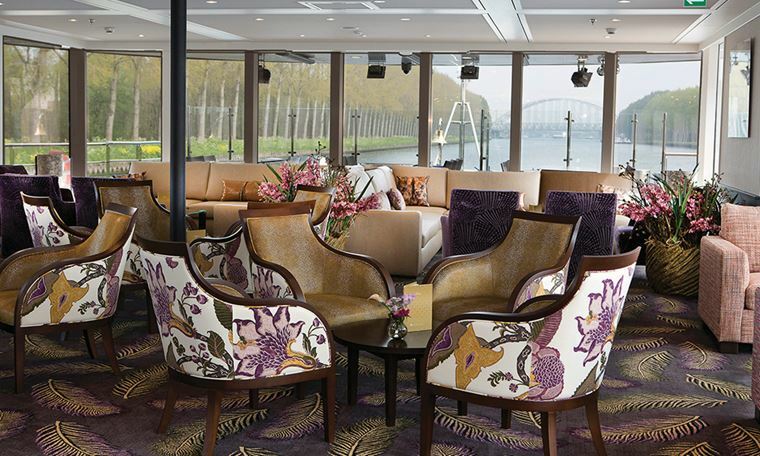 AmaWaterways’ Exclusive Concierge Golf Program is available on select Romantic Danube and Melodies of the Danube cruises sailing aboard the AmaMagna. An AmaWaterways river cruise is about more than just the destination – it’s the journey. Our ships are inspired by luxury yachts so that you can enjoy an array of great features as you cruise along from one stunning place to the next. Because it’s not just about where you go. It’s how you get there that matters. 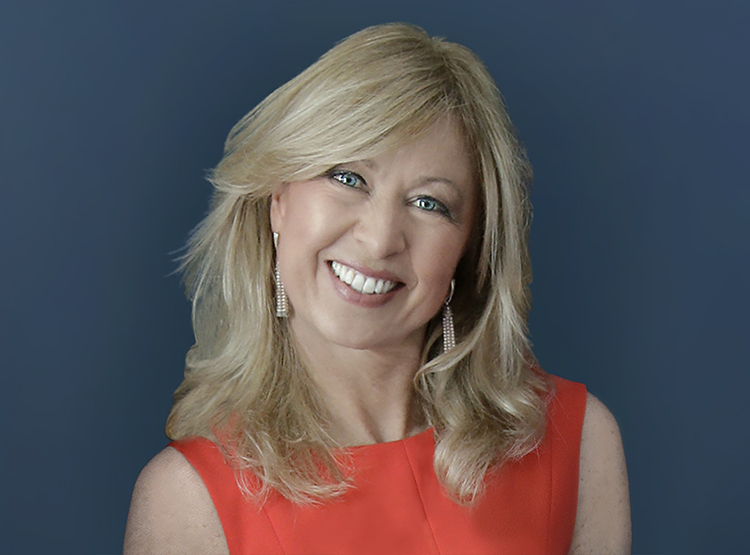 Executive Vice President and Co-owner Kristin Karst talks about what makes AmaWaterways river cruises so special. Every year, eager travelers journey to Europe to experience the yuletide season at its very best. With the backdrop of winter white hilltops, twinkling lights and extravagantly decorated cities, you'll undoubtedly get swept up in the enchantment and wonder that's in the air. Our Wine Cruises are a unique and immersive way to combine all the wonder of Europe's famed regions with the rich history of winemaking and epicurean treasures found along its wondrous rivers. Parties: In these terms and conditions, “you” or "passenger" or "participant" refers to the person booking, purchasing or traveling on the cruise, and to individuals traveling as part of that person's reservation. "We" or "us" refers to Amadeus Waterways, Inc., a California corporation (“AMA”) and AmaWaterways, LLC, a California Limited Liability Company (“AWL”). AMA offers the travel and enters into these terms and conditions with you pursuant to arrangements made with AWL. Deposit and Final Payment: To confirm a cruise or cruise & land reservation, we require a deposit of $400 per person for Europe and Asia itineraries and $2,400 per person for Africa itineraries on or before the deposit due date indicated on the confirmation. Once airline arrangements have been accepted, an additional deposit ($350 per person for economy class and $600 per person for business/first class) is required to confirm said arrangements. Certain airline tickets require non-refundable, full payment at the time of reservation. Hotel Extra Nights require a non-refundable deposit of $50 per stateroom at the time of confirmation of the hotel availability. Final payment is due no later than 90 days before the travel start date. Cancellation Charges: In the unfortunate event a participant must cancel travel, notice to AmaWaterways must be via email to Res@amawaterways.com, which must include a return receipt and read notation, or other writing stating clearly and correctly each guest’s name, ship name, start and end date of the cruise and a brief statement of the reason for cancellation. Other forms of notice are not sufficient. The effective date of the cancellation is the date we receive the written cancellation notice. A change in sailing date, name changes, the substitution of a participant or a reduction in the number of guests in a stateroom are treated as a cancellation in that all applicable cancellation charges apply. Cancellation charges for bookings within charter and part-charter agreements are as per the charter contract. All other cancellation charges are per-person, based on the cancellation date, as seen in the chart below. Certain airline tickets, including all intra-Asia Flights within 90 days of departure and published price tickets, are 100% non-refundable. Except as otherwise provided in your Passenger Ticket Contract, after travel begins, there is no refund for unused services, or unused portions of cruise, cruise/tour or airfare. Pricing: All prices are in US dollars. In the event that a cruise fare listed, quoted or advertised through any website, printed collateral, reservations person, travel agent or any other source is booked, but is incorrect due to an electronic error, typographical error, human error or any other error causing the fare to be listed, quoted or advertised for an amount not intended by AmaWaterways, AmaWaterways reserves the right to correct the erroneous fare by requesting the passenger to pay the correct fare intended, or by canceling the cruise. 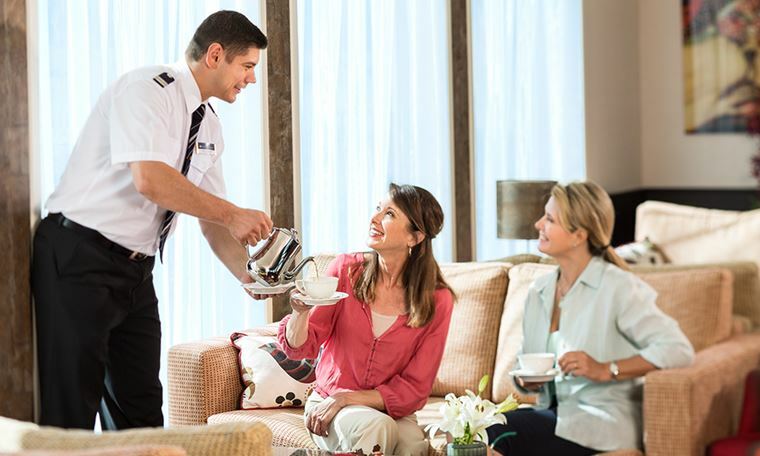 Airfares, air taxes and air surcharges quoted on your invoice or by a reservation agent are only guaranteed once airfare deposit or full payment is received by AmaWaterways. AmaWaterways reserves the right to increase prices without notice. Prices Do Not Include: Published prices do not include vessel fuel surcharges; passport and visa fees; baggage fees; port charges and fees; travel, health, accident or other insurance; vaccinations; laundry; additional food and beverages; optional excursions; gratuities or other items or services of a personal nature. Passport and Visas: A valid passport is required for each participant. Passports must be valid for at least six (6) months after the scheduled return date to your home country. For travel to Asia, we require a copy of your valid passport prior to or at final payment. If not received at this time, embarkation may be denied and cancellation penalties will apply. Guests on the Vietnam/Cambodia Cruise & Land program must obtain a Multiple Entry Visa for Vietnam, as they will have two different points of entry into Vietnam, and a Single Entry Visa for Cambodia. Guests on the cruise only Vietnam/Cambodia itinerary will require a single entry visa for Vietnam and Cambodia. For travel to Africa, a valid passport with 8 open/non-stamped pages is required. At publication time, a visa is required for a US citizen to travel to Turkey, Vietnam, Cambodia, Myanmar, Kenya, Tanzania and Zimbabwe (as well as numerous other countries). Non-US citizens must consult the appropriate consulates regarding visa and other document requirements. Obtaining required visas and any other required travel documentation, and assuring these are complete and correct in all ways, is the sole responsibility of each participant. We are not in a position to obtain or verify the accuracy or completeness of any participant’s visa or other required documentation and shall not be responsible or liable for delay or missed portion of any part of the itinerary or other problems resulting from the participant lacking the appropriate travel documentation. Travel Documents: Only after receipt of full payment, travel documents (including airline confirmation information, if applicable) will be sent by regular ground delivery (US & Canada), approximately 3-4 weeks prior to departure. (Delay in final payment will delay delivery of travel documents.) Expedited delivery may be possible for an additional charge of $25 or the full amount of expedited services, whichever is greater. Flight Schedules & Airfares: AmaWaterways offers special airfares based on the flight and seat availability of contracted carriers. We are able to accept a traveler’s choice of preferred air carrier, flight schedule, and some deviations so long as the requests are made at the time of booking the airline reservation. To hold/confirm an airline reservation, the airlines require your full legal name as it appears on your passport. For contract airline fares a deposit of $350 per person (economy class tickets) or $600 per person (business/first-class tickets) is required to secure the flight schedule and quoted price. Published airfare prices require full payment at the time of reservation. Once the airfare deposit or full payment is received your airline tickets will be issued and any changes will be subject to penalty if not cancelled within 24 hours of ticketing. Should the name on your airline reservation not match your passport exactly, your airline reservation will have to be cancelled, full penalties will be assessed and your reservation will have to be recreated subject to market pricing at the time of the new reservation. Air tickets are economy class, unless otherwise requested and additional charge for upgrade is paid, and are issued pursuant to the terms and conditions of the relevant airline(s). Airlines require your name to appear on your airline ticket exactly as it appears on your passport. We shall not be responsible or liable for consequences of name on an airline reservation and passport not matching exactly. We shall not be responsible or liable for costs resulting from airline schedule changes, lost air ticket, delay, disruption or cancelled flight; lost baggage or missed connections. Changes: Airline tickets issued by AmaWaterways have restrictions. For example, they cannot be reissued, transferred, or exchanged. Any changes made to an airline ticket, including minor name corrections, will incur a minimum $350 per ticket change fee plus any additional increases in the cost of the airfare. A change or refund request must be made through us, but may not be possible. For example, some airline tickets are non-refundable. Limitation on Special Requests & Frequent Flier Numbers: As a courtesy, we may try to relay a request for seat assignments, meal requests, frequent flyer numbers, or other special assistance to the particular airline. The sole authority to grant such requests rest with the airline and is not under the control of AmaWaterways. Whether or not we relay a request to an airline, you or your travel agent must always confirm directly with the airline regarding any such requests. To insure you receive proper credit on your frequent flyer account, we recommend you provide your frequent flyer number to the airline at the time of check-in. Please note our airfare prices use special contract fares that may not allow you to receive credit on your frequent flier account nor may they allow you to use miles to upgrade to a higher class. Baggage: Please check with the airline regarding their baggage allowance. Most airlines limit checked bags to either one or two pieces per person, and limit carry-on baggage to one piece per person, and weight and size restrictions apply. There are strict luggage restrictions for our programs in Africa; please ask for details. We shall not be responsible or liable for costs or consequences of participant exceeding the airline’s baggage restrictions, or for loss, theft, damage or delay to participant’s baggage. Airport Transfers: Guests purchasing transoceanic airfare through us may qualify for complimentary group airport transfers on a scheduled arrival between the airport and the ship or hotel, and on a scheduled departure between the hotel or the ship and airport. Airport transfers included in your airfare package will be reflected on your travel confirmation and on your travel documents. If airport transfers are not reflected on your confirmation, AmaWaterways is not responsible for providing airport transfer service to you. Please note: our group airport transfer service may involve some waiting time between the time your flight lands and the time you arrive at the ship or hotel. All guests making their own airfare arrangements are solely responsible for arranging their transportation to/from the airport. Individual airport transfers can be purchased for those guests who are scheduled to arrive/depart on our itinerary dates, please ask for details. Cruise and Cruise & Land Itineraries: Carrier seeks to provide services as published or stated in the final documents. But deviations to planned cruise, cruise & land itinerary or any other aspects of the travel may occur. If conditions make cruise routes unsafe for navigation or in other respects, or raise sufficient doubt about safety, Carrier reserves the right to modify or provide alternate services. These may include, but are not limited to, providing accommodation on the docked ship and/or substituting ground arrangements. An effort will be made to try to arrange elements of the cruise and cruise tour similar to those originally planned, but the level of similarity may vary. Except as otherwise provided in your Passenger Ticket Contract, such changes will not entitle you to any credit or a refund. Cruise, cruise & land routes, and all other aspects of the cruise and travel are subject to change with or without notice. Hotel Accommodations: We will seek to use hotels listed (if any) on your confirmation. Changes may be necessary, therefore use of such hotels is not assured. An effort will be made to substitute similar hotels, but the level of similarity may vary. Standard policy for hotels is to have rooms available for check-in no earlier than 3:00 p.m. Subject to the discretion of the hotel, triple-occupancy hotel accommodations may involve the use of hotel rooms with just two beds. Only those guests who have elected to take our Cruise & Land program on the brochure itinerary dates will receive transfers between the hotel(s) and the ship. Cancellation: Carrier reserves the right to cancel, change or postpone any cruise departure date and itinerary. In the event of a complete cancellation of a departure by Carrier, we will refund monies paid for the cruise or cruise & land package to those participants who have not previously cancelled. Personal Changes: Except as otherwise provided in your Passenger Ticket Contract, deviation from the published itinerary for any reason will not entitle participant to any reduction in charge. Participant will bear a full charge for any unused services. Child Policy: All guests under the age of 18 are to be in a cabin with an adult, and must remain supervised at all times, and their safety is the responsibility of the accompanying adult(s). Children between the ages of 4 – 10 at the time of embarkation may share a cabin with 2 adults provided the child is able to share the bed with the adults – no additional bed will be provided. Please be aware that balcony cabins of any kind may be unsafe for small children if left unsupervised. Children 4-7 years old are not recommended on any program and on our Africa program, due to safety precautions, there is a minimum age limit of 12 years old, unless otherwise agreed upon by AmaWaterways. 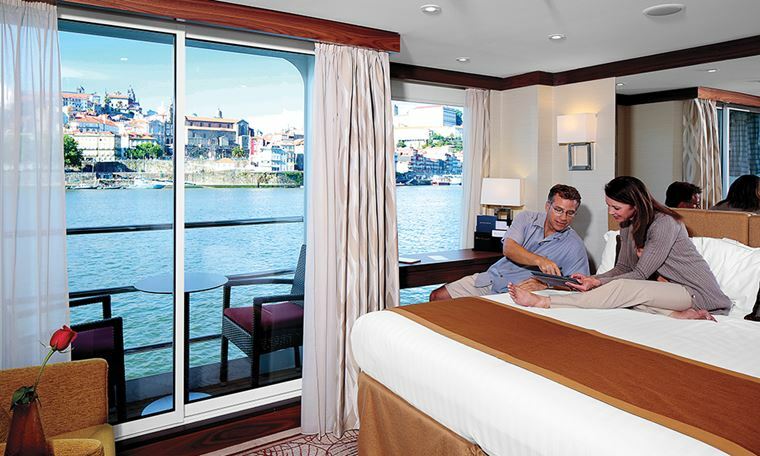 AmaWaterways does not provide child-specific programs or child-minding facilities. Disabled Participants: Handicapped facilities are not available on board or in many places visited on the cruises and cruise tours we offer. If you (participant) have a disability and reasonable accommodation may enable you to use the services, please let us know how you believe we can help. Participant must inform us in writing, at or immediately after making the reservation, but in any event as early as possible, of any mobility impairment or other condition, whether physical, emotional or mental, which may require accommodation or use of an assistive device during the travel. A reasonable effort will be made to accommodate special needs, but we are not responsible for denial of service by carriers, hotels, or other independent suppliers. A participant, who, due to impairment, is not self-sufficient, may be required to travel with a companion who shall take responsibility for assistance needed during travel and in case of emergency. An individual with a disability that would result in a direct threat to the health and safety of others or to that individual may be excluded, if it is determined there is a significant risk that cannot be eliminated or reduced to an acceptable level by reasonable accommodations, policies, practices, procedures assistive devices or services. If participant fails to timely inform us of any impairment or condition, and it is determined based on information that participant should have provided that participation poses a safety risk to participant or direct health or safety threat to others, participant may be excluded from parts or all of the travel. We shall have no liability to participant relating to any condition, treatment, failure to inform us of an impairment, or resulting exclusion. Pregnancy: For the safety of parent and child, and depending on various circumstances, passengers who are at an advanced stage of pregnancy (after 5 months) may be subject to restrictions or exclusion concerning their ability to travel and/or board a ship. Please inform us immediately, so we can assess your personal circumstances and possible accommodation. Medical: Medical doctors are not available on any vessel. If medical services are required, efforts to contact local medical providers will be made. A participant requiring such assistance is solely responsible for all related charges. We will not be responsible or liable for sufficiency of our efforts to reach medical providers, unavailability, delay, quality or other aspect of any such services. Participant is encouraged at time of booking and well before departure, to review participant’s health and medical conditions and insurance and consult participant’s health care and insurance providers regarding needs and scope of coverage for any incident or need that may occur during travel, and to obtain supplemental health and medical insurance for the travel, as needed. Inoculations and Medical Preparation: All passengers traveling on certain Africa itineraries may require Yellow Fever vaccination. AmaWaterways strongly recommends that all passengers take malaria pills for travel to Africa. Please contact your personal physician or local health department prior to travel for further detailed information and recommended precautionary measures. Smoking: Smoking is only permitted on the ship's Sun Deck in the designated smoking area. Diet: Special dietary requests must be provided to us at time of reservation. An effort will be made to meet the request, but we cannot assure the request can be accommodated. Disclaimer of Responsibility: AMA’s arrangements are with AWL, and they arrange with others for services described in this confirmation and in our brochures. Transport on river cruise ships (“ships") or other forms of transport ("transport") is provided by third party owners, operators and charterers ("supplier(s)"). Suppliers are separate entities and are deemed not to be our principals, agents, employees or partners. We do not own or operate any ship or transport service. Accordingly, WE DISCLAIM RESPONSIBILITY AND LIABILITY FOR, AND PARTICIPANT WAIVES, RELEASES AND ACKNOWLEDGES THAT THERE SHALL NOT BE ANY CLAIM OR RECOURSE AGAINST US FOR OR AS A CONSEQUENCE OF: BREACH OF DUTY, BREACH OF CONTRACT, NEGLIGENT OR WILLFUL OR INTENTIONAL ACT, FAILURE TO ACT OR OMISSION BY ANY SUPPLIER. Supplier and participant obligations and liabilities are subject in each case to terms and conditions of each supplier’s contract of carriage or other supplier terms and conditions, and any and all applicable government laws and regulations and international conventions that apply, including, but not limited to choice of law, jurisdiction of disputes and limitations of liability and limitations on timing of claims. PARTICIPANT AGREES THAT WE SHALL NOT BE LIABLE FOR ANY DAMAGE, LOSS (INCLUDING PERSONAL INJURY, DEATH, AND LOSS OF OR DAMAGE TO PROPERTY) OR EXPENSE OCCASIONED BY ANY ACT OR OMISSION OF ANY SUPPLIER PROVIDING SERVICES, OR ANY PROVIDER OF A TRAVEL PROTECTION PLAN, OR INSURER, OR OF ANY OTHER PERSON. If the services of a supplier cannot be delivered or there are changes in any planned service for any reason beyond our control, we will make an effort to arrange similar services. Any resulting additional expenses will be participant’s responsibility. Limitation of Liability: REGARDLESS OF ANY OTHER PROVISIONS IN THIS CONFIRMATION AND IN OUR BROCHURES, OUR LIABILITY FOR BREACH, DAMAGE, LOSS, PERSONAL INJURY, DEATH, AND/OR LOSS OF OR DAMAGE TO PROPERTY, OR OTHER LOSS, INJURY OR DAMAGE, ALSO INCLUDING, BUT NOT LIMITED TO, ECONOMIC DAMAGES, EMOTIONAL DISTRESS, MENTAL SUFFERING AND/OR PHYSICAL OR PSYCHOLOGIC INJURY, WHETHER OCCURRING BEFORE THE START OF TRAVEL, AFTER TRAVEL HAS BEGUN, AFTER COMPLETION OF THE TRAVEL, OR MULTIPLE TIME PERIODS, AND REGARDLESS OF WHETHER DUE TO ACCIDENTAL OR WILLFUL OR INTENTIONAL ACT OR OMISSION OF ANY PERSON OR ENTITY, OR OTHER CAUSE SHALL NOT EXCEED THE AMOUNT PAID TO US FOR THE TRAVEL. Agreement; Forum and Jurisdiction for Legal Action; Jury Waiver: Your payment of a deposit and/or our issuance of final documents shall be deemed consent by participant to these terms and conditions. These terms are deemed to be made, accepted and entered into in Los Angeles County, California. These terms and the rights and obligations of the parties, and any legal or equitable action concerning the interpretation, enforcement, or claimed breach of any term, obligation, or duty as contained or related to these provisions or arising from these terms and conditions, shall be interpreted, construed and governed by the laws of California, and any such claims shall be litigated, if at all, before a court of competent jurisdiction located in the County of Los Angeles, California, U.S.A., to the exclusion of the courts of any other country, state, city, municipality, county or locale. You agree to consent to jurisdiction and waive any objection that may be available to any such action or proceeding being brought in such courts. YOU AND WE WAIVE THE RIGHT TO A JURY TRIAL. Time Limit for Notice of Claims and Filing Legal Action: The parties agree that any notice of claim against us of any nature whatsoever which is connected to, related to or arising from these terms and conditions must be received by us in writing within thirty (30) days after the date of completion of the cruise or cruise and land package. No lawsuit may be maintained against us unless the lawsuit is commenced no later than six (6) months after the date of completion of the cruise or cruise and land package, and valid service of the lawsuit on us is made within thirty (30) days after commencement of the lawsuit. Passenger Ticket Contract: All ship transport is provided according to terms and conditions of the Passenger Ticket Contract included in the final documentation and available for review at the following website: www.amawaterways.com. Please carefully read the Passenger Ticket Contract which is a binding contract between you as the passenger and the vessel owner. 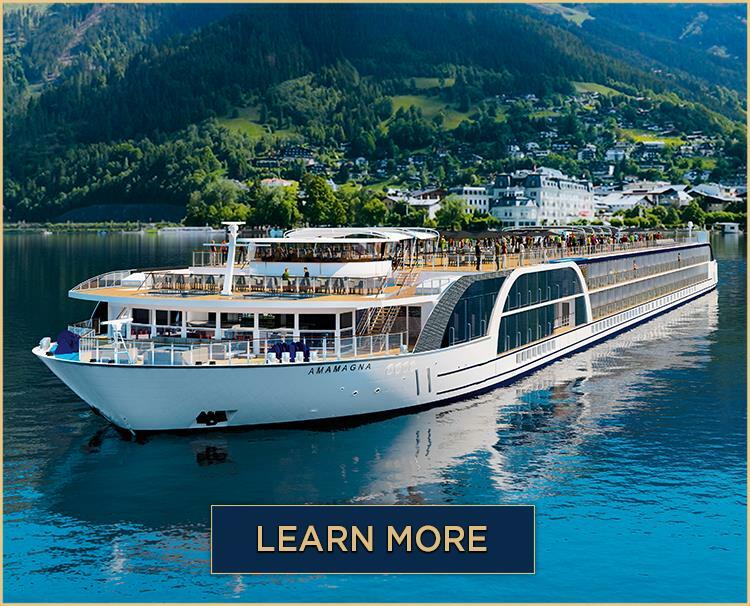 For our vessels flying the Swiss flag, the owner is AmaWaterways GmbH, an entity organized under the laws of Switzerland and the Passenger Ticket contract would therefore be governed by the laws of Switzerland. AmaWaterways GmbH owns, operates and/or charters the ship, as the carrier (“Carrier”), and governs all dealings between you and Carrier. For our vessel in Portugal, the owner is DouroAzul, Sociedade Maritimo Turistica S.A, an entity organized under the laws of Portugal and the Passenger Ticket Contract would therefore be governed by the laws of Portugal. DouroAzul, Sociedade Maritimo Turistica S.A owns, operates and/or charters the ship, as the carrier (“Carrier”), and governs all dealings between you and Carrier. For our vessel in Vietnam, the owner is Indochina Waterways, an entity organized under the laws of Vietnam and the Passenger Ticket Contract would therefore be governed by the laws of Vietnam. Indochina Waterways owns, operates and/or charters the ship, as the carrier (“Carrier”), and governs all dealings between you and Carrier. For our vessel in Namibia, the owner is Zambezi Queen Holidays (PTY) Ltd, an entity organized under the laws of Namibia and the Passenger Ticket Contract would therefore be governed by the laws of Namibia. 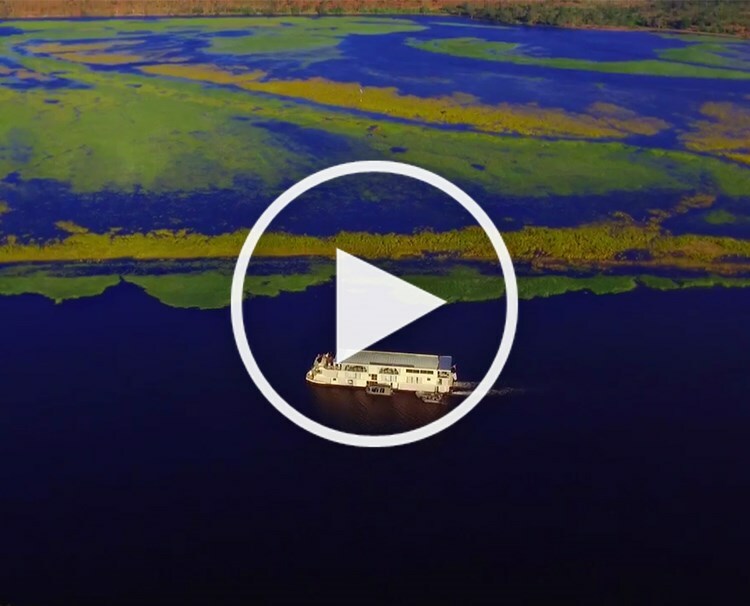 Zambezi Queen Holidays (PTY) Ltd owns, operates and/or charters the ship, as the (“Carrier”), and governs all the dealings between you and Carrier. The Passenger Ticket Contract establishes limits of liability, limits on claims, and time limits for making claims, as well as other restrictions, limits and disclaimers limiting Carrier’s liability for your death, illness, injury, or damage claims relating to baggage or personal property. It incorporates provisions and limitations under the Athens Convention Relating to the Carriage of Passengers and Their Luggage by Sea, 1974, and the Protocol to the Convention Relating to the Carriage of Passengers and Their Luggage by Sea, 1976, the International Convention on Limitation of Liability for Maritime Claims, 1976, and the Strasbourg Convention on the Limitation of Liability of Owners of Inland Navigation Vessels, 1988. Venue for litigation of any disputes under the Passenger Ticket Contract is exclusively in the courts of Basel, Switzerland. California Seller of Travel Law: We are registered with the California Attorney General, California Seller of Travel Program as Amadeus Waterways, Inc., registration number CST 2065452-40. Registration as a seller of travel does not constitute approval by the State of California. This transaction is covered by the California Travel Consumer Restitution Fund (TCRF) if we were registered and participating in TCRF at the time of sale and you are located in California at the time of payment. By confirming the reservation with payment, the guest/travel agent acknowledges that they are aware of and will comply with these terms and conditions. 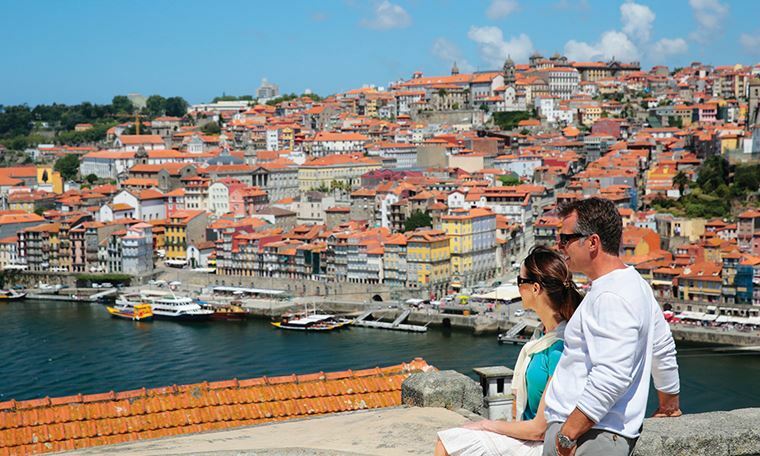 Think Port wine is the only sweet wine under the proverbial Portuguese sun? Well, think again. 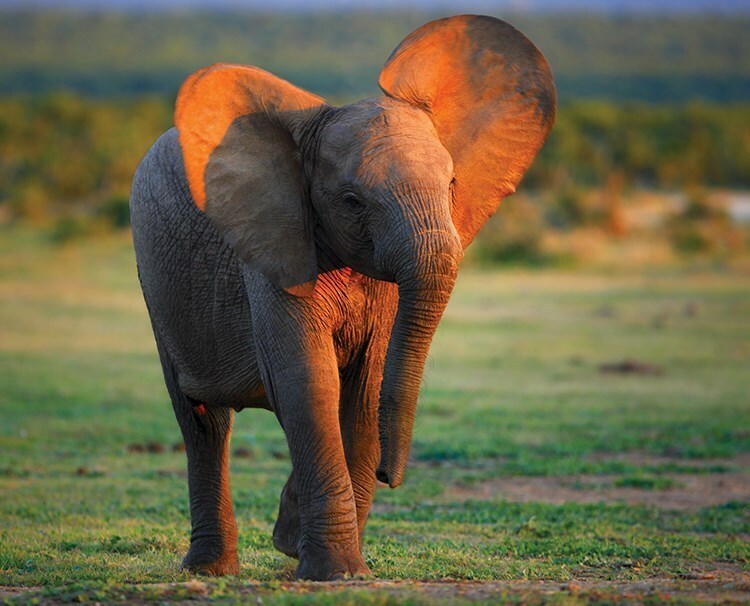 Known as ‘the Land of the Giants,’ Chobe National Park is home to Africa’s largest elephant population and one of the densest concentrations of wildlife in the world. 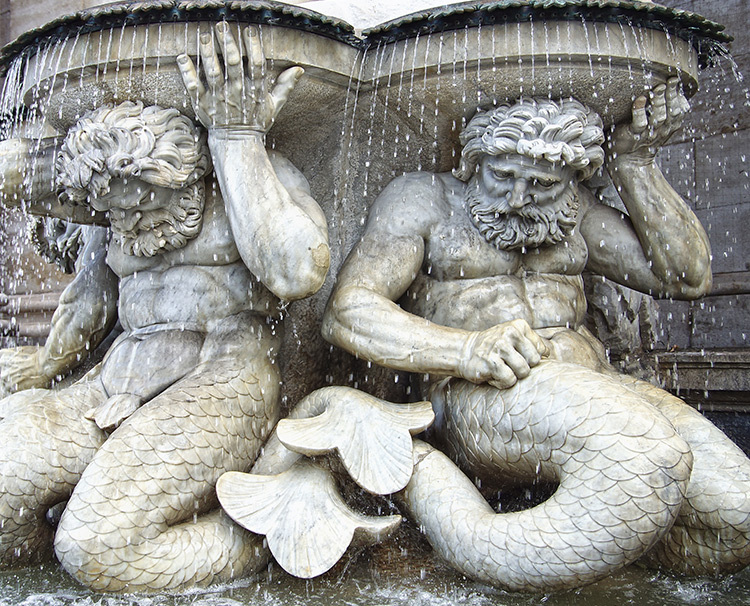 There’s no better place to discover rich culture than within Vienna’s enthralling museums. 2015-2018 AmaWaterways. All Rights Reserved. CST #2065452-40 Registration as a seller of travel does not constitute approval by the State of California.